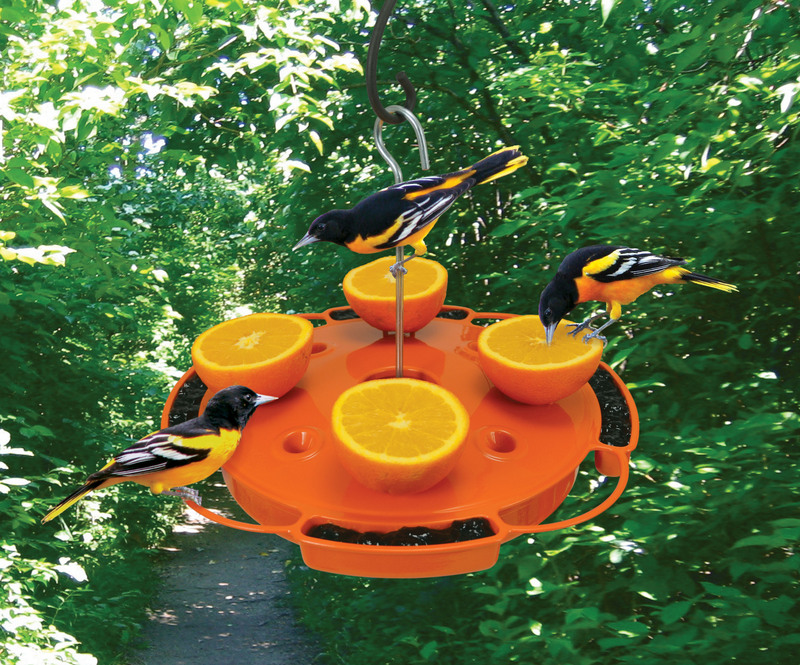 Finally an Oriole feeder with enough nectar, orange halves and jelly capacity to attract and hold Orioles in your yard! 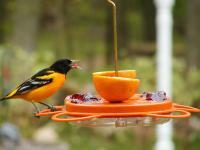 When Orioles arrive, they are starving and quickly consume what's on other feeders. When the feeders are empty, they move elsewhere looking for more to eat. This won't happen to you with the new Songbird Essentials Ultimate Oriole Feeder. Feed nectar, jelly and oranges all at the same time. 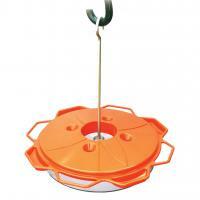 Built in ant moat keeps ants out of the Oriole's treats. 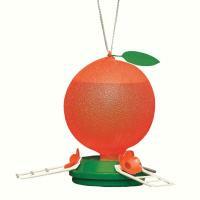 Holds 4 halves of real oranges in such a way that ant moat can still be filled with water and be effective. 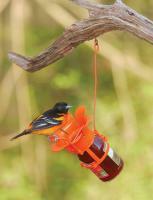 Holds 1 quart of nectar which is twice as much as other flat top nectar feeders. 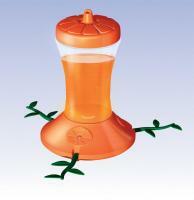 Holds 4 times the jelly as other nectar and jelly combo feeders. Easy to fill and clean. Love this feeder! I have orioles galore along with various other birds who seemed to have developed a "sweet beak" constantly at the feeder. 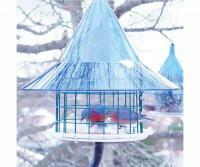 The jelly compartments are large and hold more jelly than other feeders I've had. Contemplating buying another one!